These trousers have taken me one step closer to being Mollie King. O how I wish. I seem to be becoming her complete and utter style stalker. It's bad for my bank balance and it doesn't help with Lavish Alice tweeting her outfits - bad Lavish Alice! 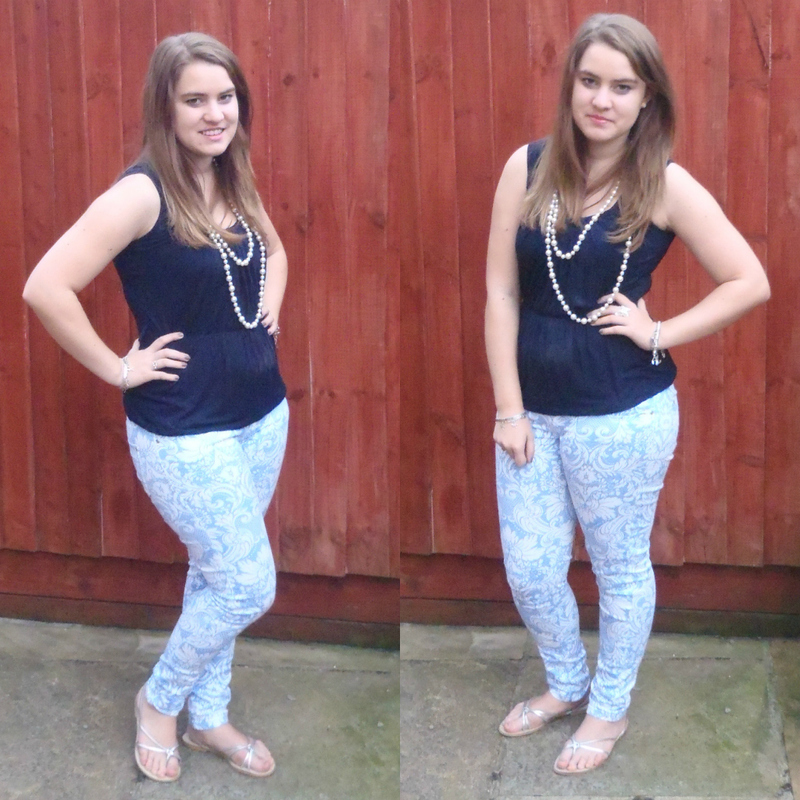 So, yes, these are my FIRST EVER printed jeans. I took a leap of faith. 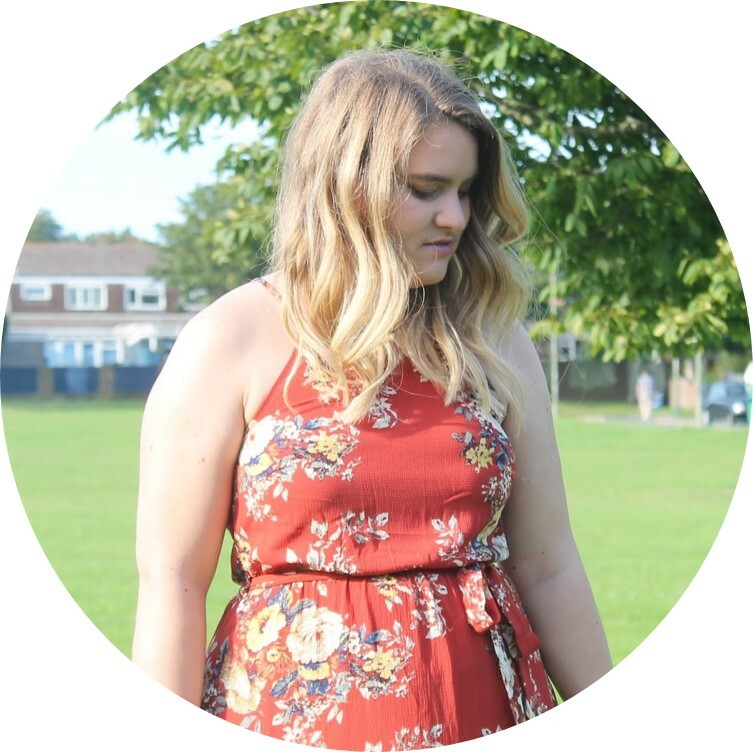 It's an item of clothing I would never have bought before blogging, so I blame the blogging world. I was a bit dubious about them as I thought because they were light they might make my larger than normal thighs look even larger, however I've been pleasantly surprised. The cut is really flattering. They fit quite well, a little tight but what do you expect when you buys jeans online without trying them. And tbh, I'm trying to loose a bit of weight off the old thighs anywho so they will be a perfect fit soon. I'm just in love with them. They are so different to everything I own, which seems to be happening more and more lately which I am excited about. They were a complete impulse buy and about an hour later I was wondering what the hell was going through my head. Well it all came good in the end! I think this needs to be teamed with a simple tee or peplum top, my deep blue blazer and minimal accessories. The jeans are totally the focus so there is no need to overcomplicate them as it takesa way from their utter beauty. I have to say, I am actually quite impressed with Lavish Alice. This is only the second piece I've bought from them, but it's delivered within 2 working days so there isn't too much waiting around which is nice, and the ladies on twitter are really lovely and helpful to! So do I look like Mollie yet (ha!)? How would you style these jeans?